Revoking the MFN status India granted to Pakistan back in 1996 has been argued as a plausible way of sending a strong message to the country. 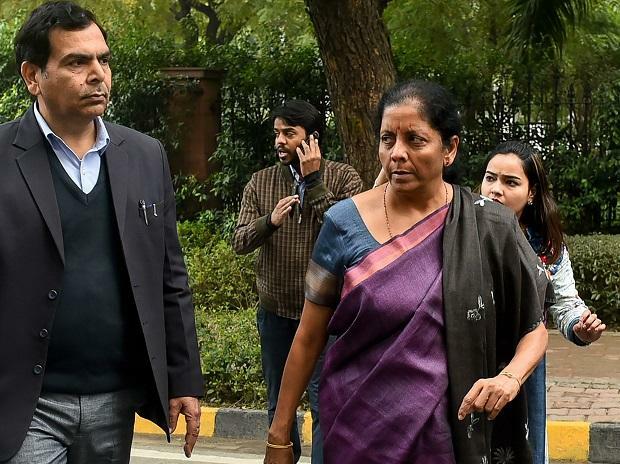 With India exploring every possible way to respond to Pakistan in the wake of the horrific terror attack in Pulwama in Jammu and Kashmir that claimed the lives of 40 CRPF personnel, Commerce Department officials said the country was within its rights to launch an economic offensive against its neighbour and revoke Pakistan’s Most Favoured Nation (MFN) status. India has considered revoking Pakistan’s MFN status twice — after the attacks at Uri and Pathankot. Now, New Delhi is also considering suspending trade ties with Pakistan, officials said. According to government officials, India is not even required to inform the World Trade Organisation (WTO) about its decision to revoke Pakistan’s MFN status, and that a notification to the effect would be out soon. Revoking the MFN status, which was granted to Pakistan in 1996, will allow India to put higher import duties on Pakistani goods. While India does not figure in the top 10 export destinations for Pakistani goods, it serves as a crucial channel for select goods such as leather hides and cheaper variants of fertilisers that are generally procured by importers at short notice. On the other hand, any decision to stop exports to Pakistan is likely to affect the neighbouring country’s cotton industry which relies on cotton bales from India. Pakistan has also come to depend upon cheaper varieties of Indian pharma products and machinery that are difficult to source from elsewhere. The MFN status is governed by the WTO’s General Agreement on Tariffs and Trade (GATT). Countries that are signatory to the agreement agree not to discriminate against each other and the rest of the WTO member countries. This means that every time a country lowers a trade barrier or opens up a market, it has to do so for the same goods or services for all its trading partners. Ever since it was established, the MFN clause has worked as a bulwark against dubious and partial trade practices and promoted free trade. While economic sanctions are likely to have little effect on Pakistan owing to the small amount of bilateral trade between the two nations, revoking the MFN status has found more support. However, officials pointed out that the move was unprecedented since the measure is used to justify economic wrongs, and not political ones. "Revoking the MFN status is frowned upon in multilateral trade forums as countries tend not to revoke the MFN in cases other than economic hostility by a trade partner,” a senior Commerce Department official said. “Since India cannot complain of harmful trade practices by Pakistan in recent times, revoking the status may make it difficult to explain India’s position to the global community,” the official added. However, the fact that Pakistan has never reciprocated by granting India MFN status will strengthen India’s position, he said. In fact, India is mulling the option of dragging Pakistan to the dispute settlement body of the WTO because of this. However, Islamabad could cite ‘security exceptions’ through which a member-country may not grant MFN to another member on grounds of security, a diplomatic source said. In 2017-18, bilateral trade between India and Pakistan stood at $2.4 billion, which is just 0.3 per cent of India’s overall merchandise trade. While India’s exports to Pakistan was $1.9 billion, or 0.63 per cent of its total exports, the imports from Pakistan amounted to $488 million, or 0.10 per cent of India’s total inward shipments. Indian exports to Pakistan include cotton, organic chemicals and plastics, among others, while mineral fuels, edible nuts and plastering materials account for its top imports from that country. Though India does not restrict imports from Pakistan, its exports across 1029 tariff lines and including textile, auto and agro products, have restricted entry into that country. Reacting to India striking down Pakistan’s MFN status, the PHD Chamber of Commerce and Industry said it was willing to sacrifice trade with Pakistan in the interest of the country. The chamber, which includes many exporters to Pakistan who trade through the overland Punjab routes, said exports can be increased, but only when the situation between the two countries normalises.